Welcome to 112 E Durham in The Heights where your dreams of family, are made, and raised. A truly special new home perched above neighbouring homes and fabulous amenities that offers up sweeping views of the surrounding area from your main level and the Fraser River from your Master and it's own private patio. 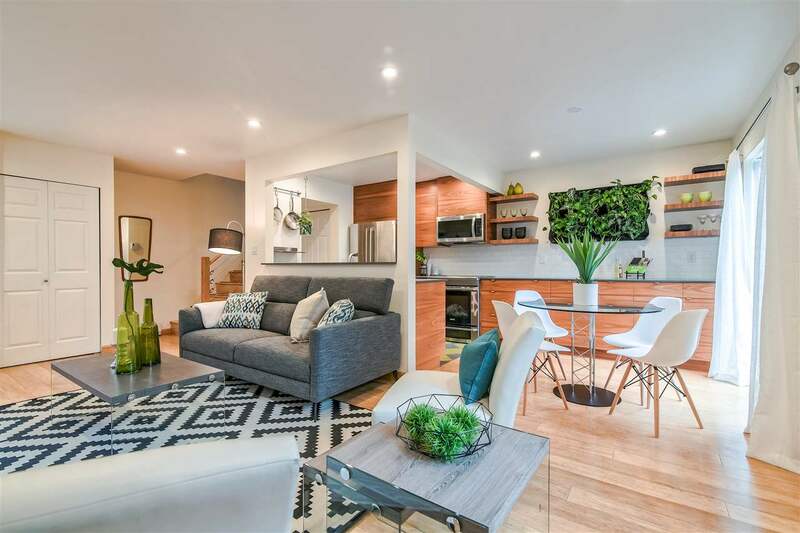 Enjoy the most comfortable of living on main w/ it's soaring 10' ft high ceilings and stunning kitchen decor that features a huge Quartz island w/ beautiful waterfall feature and very comfortable breakfast bar. Open dining and living space w/ gas fireplace framed by floor-to-ceiling stone extends outside onto 400+ sq ft of covered patio space that's outfitted w/ fireplace, cable/ethernet and gas for BBQ. 4-beds above main, all generously sized and 2 w/ en-suite. Huge master features beautiful stone-work and chandelier over the free-standing tub that privately looks out upon view. Media room down along w/ self-contained walk-out suite that provides you choice of great income or comfortable in-law living.